This is just a few days from Apple iPhone 6S and 6S plus announcement and here we are some most promising leaks of upcoming Samsung Galaxy S7. 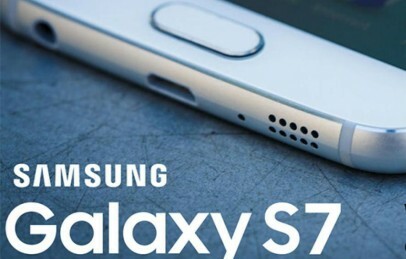 Presently Galaxy S7 has leaked on GeekBench – a benchmarking site. Looks like Samsung has begun the manufacturing and testing phase but these are just a few leaks. We still have a couple of months to see the actual smartphone or even specifications. Till now there we have seen are three different model of Galaxy s7 on Geekbench. All are having a really impressive multi-core score, touching 5000 plus points. The three models of Project Lucky are seen in benchmarks same as Samsung is working on Galaxy S7, S7 edge and edge plus variants. From the above images, you can see that Project Lucky benchmarks are quite high means this must be the next flagship phone from Samsung. 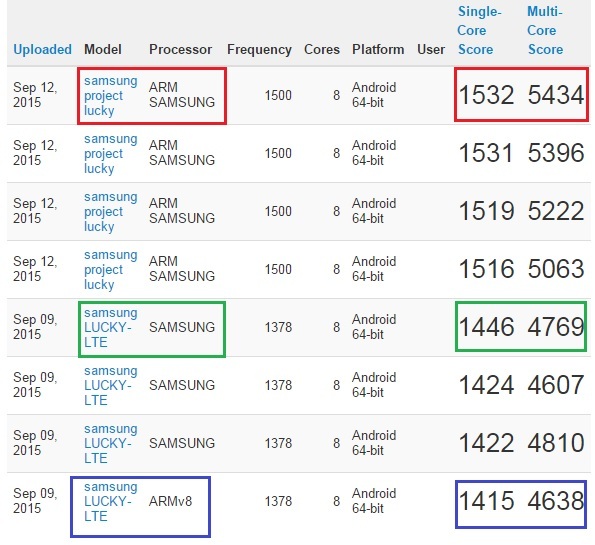 The Project Lucky with Samsung ARM has got the highest benchmarks score till now. From the report, you can also see that company has started testing Galaxy S7 on different chipsets with 3 and 4GB RAM options. While the processor frequency is still as low as 1.5 GHz which is quite disappointing but we known Samsung is going to bring a 2.3 GHz or 3GHz processor with next Galaxy phone. It is rumored to have Exynos 8890 or Qualcomm chipset. As from these benchmarks, it looks like Samsung is now testing Galaxy S7 with different specifications like in-house Exynos, Samsung-LTE and ARM the actual product is going to be quite different. Also, in the reports it has been shown with 3GB and 4GB RAM which clarifies everything that these leaks are for Galaxy S7. But Yes one thing that is common in all these leaks is that next Flagship will have 64bit Android OS with Octa Core processor. We will update with more specs and images leaks of S7 at our home page. You can check more updates of Samsung Galaxy S7 at our blog. So, what you think about these Galaxy S7 leaks. Share your thoughts by commenting below and also join us on our facebook page.